Everywhere you turn this time of year, you are hearing about someone heading to the pool or the beach or taking on the project of building a new play set in their backyard. Underwriters Laboratories (UL), a well-known product safety testing organization has teamed up with Disney to produce a water safety video as part of Disney's "Wild About Safety" Series. 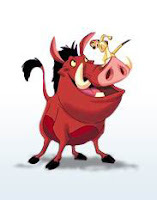 This series is hosted by the lovable duo Timone & Pumbaa of The Lion King and is designed to be easily understood by children. In addition to this pool and water safety video, Underwriters Laboratories has compiled the following lists of summer safety tips . . .
• If you have a pool at home, install a fence. The fence should be at least four feet high and have a self-closing, self-latching gate that has a locking mechanism beyond a child's reach. • Cut overhanging tree limbs and remove chairs or ladders from the pool area to prevent children from climbing over the fence that surrounds the pool. • Keep grates and drain covers in good repair and secured in place. Alert your family and guests to stay away from these devices, as the suction from drain outlets can be strong enough to cause entrapment of hair or body parts, which can potentially cause a person to drown. • Make sure you know infant and child CPR if you own a pool. • Supervision is a must. Follow the 10/20 rule when you’re at the pool. The 10/20 rule states the supervising adult needs to position themselves to be able to scan the pool every 10 seconds, and reach the water within 20 seconds. • Always have rescue devices, such as UL-LISTED life preservers, nearby. • Flotation devices, toys and inflatable swimming aids are not safety devices. They are toys and can easily puncture and deflate. • Always drain wading pools after children are done playing. Infants can drown in just a few inches of water. • Have a telephone nearby and appropriate emergency numbers posted. • Remove all toys when you leave the pool. Toys may attract children to the unattended pool. • Make sure your backyard is large enough for playground equipment. The site must also provide good visibility and security. Before setting up equipment, look out for obstacles, such as the garage, tree branches, utility poles and wires. • Read and follow the manufacturer’s directions when setting up play set equipment. Be sure your child's weight and age fall within the manufacturer's recommended limits for the equipment. • Install protective surfacing, such as rubber tiles or mulch under the play set, at least six feed in all directions, to prevent serious injuries should a child fall. • Carefully inspect backyard playground equipment. Make sure equipment is anchored safely in the ground, all equipment pieces are in good working order, S-hooks are entirely closed and bolts are not protruding. • Check for spaces that could trap children, such as openings in guardrails or between ladder rungs. These spaces should measure less than 3.5 inches or more than 9 inches. • Always supervise children on play set equipment to make sure they are playing safely. • Never attach ropes, jump ropes, clotheslines, pet leashes or cords of any kind to play set equipment. If used improperly, they can be potential strangulation hazards. • Watch for potential trip hazards, such as rocks, tree stumps and concrete footings. Make sure you’re children are aware of them as well. • Do a sandbox check. Before letting your child dig in, rake through the sand to check for debris or sharp objects. Also, inspect for any animal contamination or insect problems. I hope these tips will help to keep your children safe during a fun, but incident-free summer! I wrote this review while participating in a blog campaign by Mom Central on behalf of Underwriters Laboratories. Mom Central sent me a gift card to thank me for taking the time to participate.